This article introduces the study “Process Cascade- and Segmentation-Based Organizational Design: A Case Study” by Kohlbacher M. and Weitlaner D., which was presented at the IEEE International Conference on Industrial Engineering and Engineering Management in Singapore in December 2011. The paper discusses the approach of process cascading and segmentation, a design principle which helps organizations to build its structure around its customer-oriented business processes. Cascading of processes is an approach where the organization’s business process design is based on internal customer-supplier relationships which ensure that every business process of the organization has a clearly defined (internal) customer which places an order and also receives the results. Segmentation of business processes refers to the idea of creating process variants of business processes which face heterogeneous market and/or customer requirements. Both principles – cascading and segmentation of business processes – complement each other. The paper shows how these design principles are applied in practice by using an Austrian manufacturing firm as a case study. The poster of the presentation can be found here; the paper is available via IEEE Xplore. This article summarizes the study “The Performance Effects of Process Cascade-Based Organizational Design” by Kohlbacher M. and Weitlaner D., which was presented at the IEEE 2011 7th International Conference on Next Generation Web Services Practices in Salamanca, Spain, in October 2011. The principle of cascading business processes. The study discusses the idea of process-cascade based organizational design and empirically investigates the impact of such a design on firm performance. 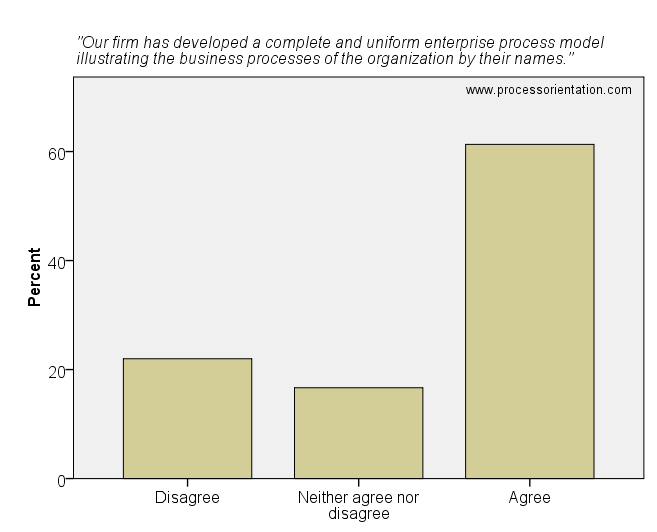 The empirical findings of the study are that firms which implemented process-cascade-based organizational design achieve higher firm performance. The paper is available via IEEE Xplore. 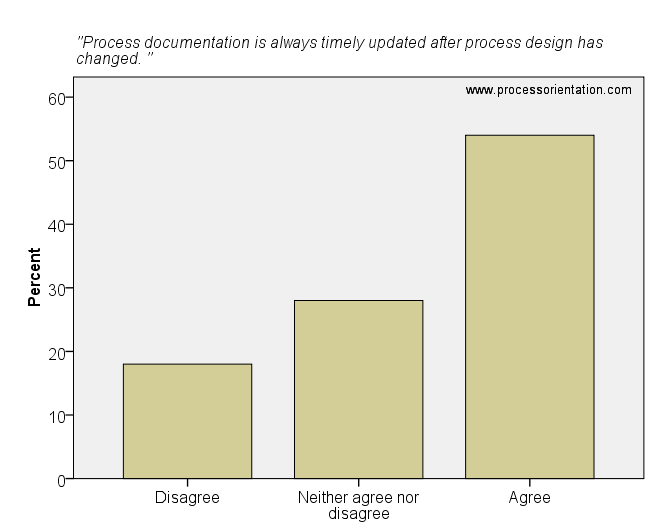 This article discusses the issue “documentation of business processes” of the process management survey. Details on the survey (research design, sample, etc.) can be found here. 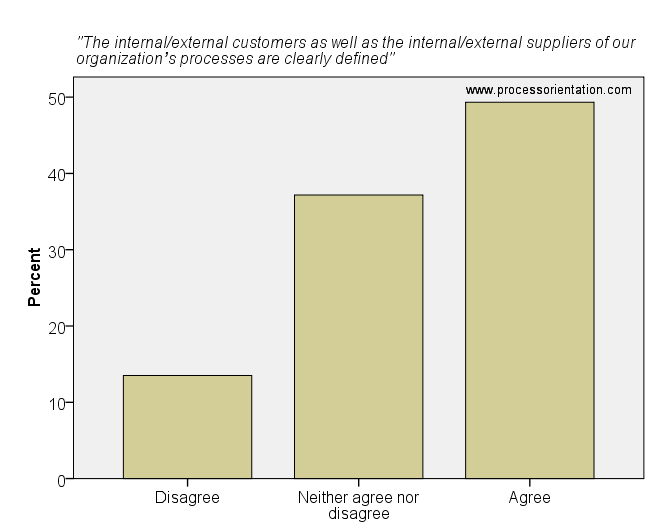 The idea of process cascades (representing internal customer-supplier relationships between business processes of an organization) was originally developed by Tipotsch (1997), Schantin (2004), and Suter (2004). The idea is illustrated in the figure below. 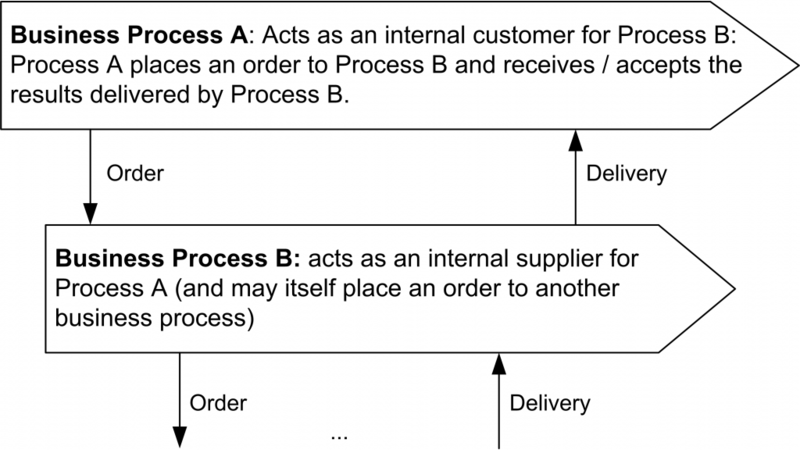 Process A, acting as an internal customer, places an order to Process B, acting as an internal supplier. 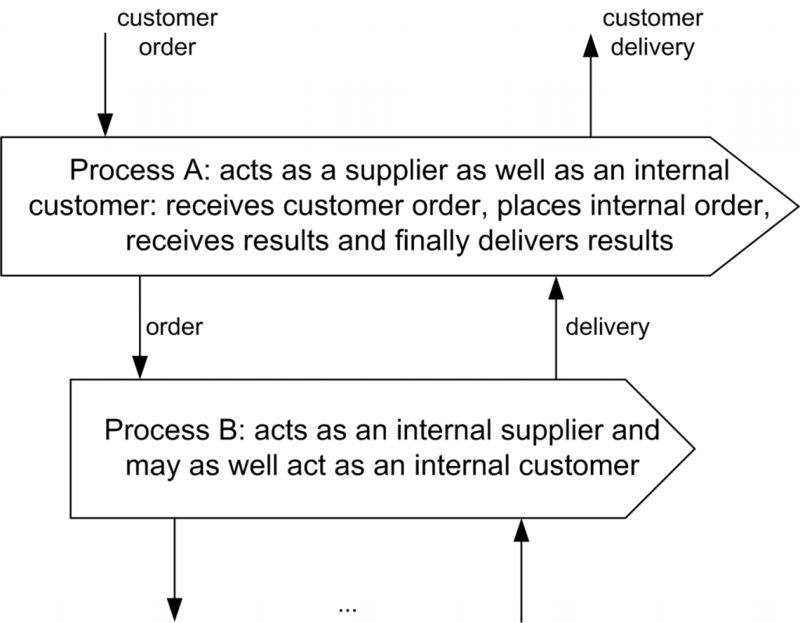 After receiving the order, Process B deals with the order and delivers the result back to Process A. Cascading of business processes is an recursive approach, i.e. process B may itself place an order to another process, and so on. The idea of business process segmentation was also originally developed by Tipotsch (1997), Schantin (2004), and Suter (2004). Other authors refer to this idea as well. For instance, Osterloh and Wübker (1999) call it “Triage”, and Gaitanides (2007) calls it “process variant”. The idea is illustrated in the figure below. Segmentation of a business process refers to the idea of creating process variants of a business process which faces heterogeneous market and/or customer requirements. The objective is that every process variant created can then handle homogeneous requirements. 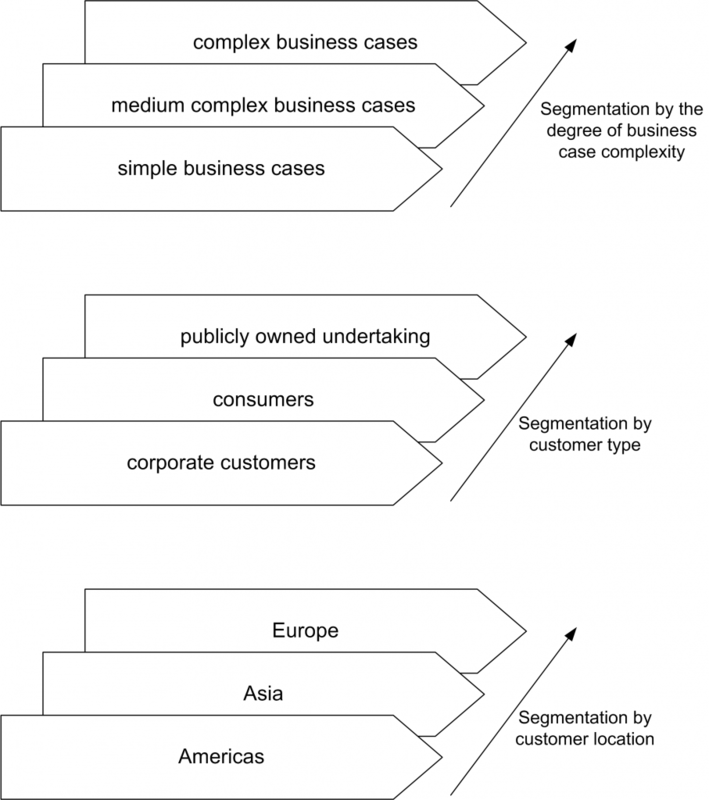 Some possible examples of business process segmentation are depicted in the figure below (segmentation by degree of business case complexity, customer type and customer location). Business processes present a difficult challenge in identification and analysis since they are often unknown quantities, have no names, and are not visualized in organizational charts (Kiraka and Manning, 2005). A prerequisite for managing an organization based on its processes is to know which business processes are performed within the organization and how they are related to each other. A precise definition of the company’s business processes is the starting point for process management (Hinterhuber, 1995). Design of a complete and uniform enterprise process model. The enterprise process model, which is also sometimes referred to as “macro design” (Suter, 2004), “macro model” (Schantin, 2004), or “macro enterprise process map” (Gardner, 2004), gives an overview of the organization’s business processes. Documentation of processes. 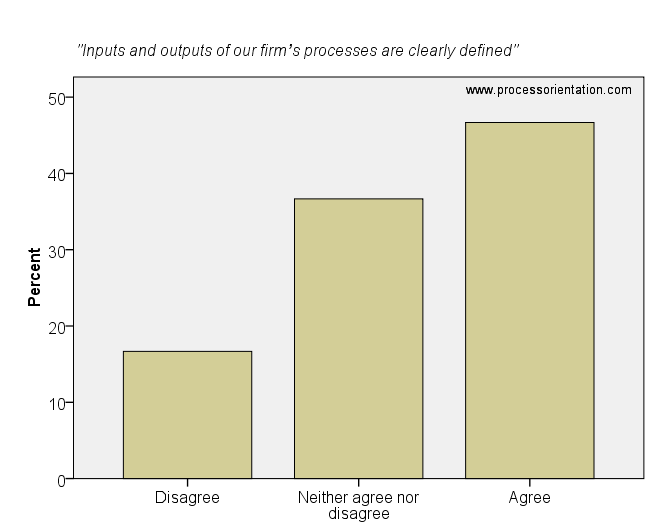 Business processes need to be specified in terms of how they are to be executed (Hammer, 2007). Update of process documentation. Without a timely update of the documentation after a change of the process design, people will soon discontinue to use the documentation, making the documentation of business processes largely useless. Definition of inputs and outputs for each process. Since processes can be defined as collections of tasks and activities that transform inputs into outputs, the specification of a business process needs to include a definition of these inputs and outputs (Walter, 2009; Schantin, 2004). Definition of suppliers and customers for each process. A primary characteristic of a process is that it is initiated by and that it must provide results for a customer (Davenport and Short, 1990; Childe et al., 1994).